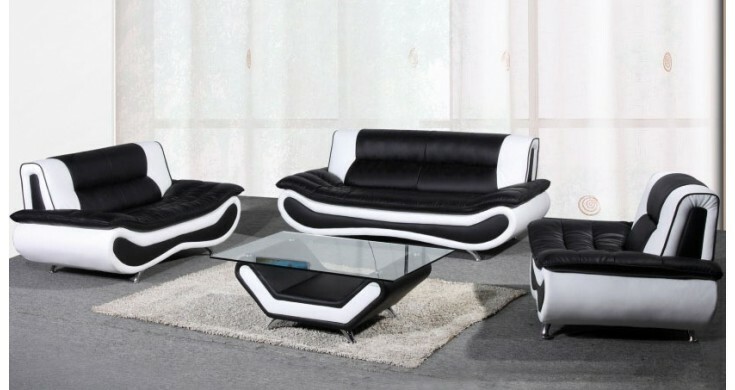 Here we have our gorgeous bonded leather sofa suite in Black and White, it comes in a variety of colours. This smart and modern design will compliment many surroundings, chrome feet are included to add more of a modern feel to the sofas, great for apartments. You also have the option for the full set of a 3 + 2 + 1 & a coffee table! This sofa suite is ideal for many living situations. It would be great in a family home, studio apartment or for those of you who enjoy entertaining friends and family on a regular basis. Cheap sofas from Sofa Savings do not mean cheap in quality, try for yourself today.. Please note when ordering this product and selecting the 2 man delivery service, our drivers will only assemble the sofas. Our drivers do not assemble the tables or any other furniture apart from sofas.